We’re very proud and pleased to announce that Daphne has joined the ELTjam team as our Learner Experience partner in Brazil. 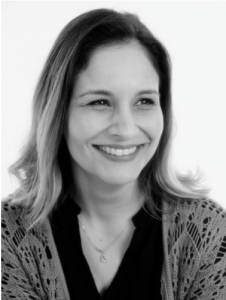 Based in Sao Paulo, Daphne has a cast iron background in ELT and is a highly-respected teacher, trainer and marketer with over 18 years experience in the industry. Her effervescent and adventurous spirit are infectious, and we can’t wait to begin our new chapter as a company with her. Daphne will be working with ELTjam to explore ways of sharing our Learner Experience Design approach with companies and organisations across Brazil. We fired a few questions at Daphne so she could speak about her experience and expectations in her own words. What started your career in ELT? I’ve loved English for as long as I can remember. From trying to memorise and understand song lyrics (in a pre-internet era, mind you!) to actually becoming an ELT professional, some time passed. I never thought I could make a career out of my passion for the language! When it finally dawned on me, I completely embraced being an English teacher, and here I am, years later, still in love with the language and with teaching. But what really makes my relationship with ELT a long and loving one is the everlasting learning! Actress Natalie Portman once said “I don’t love studying. I hate studying. I like learning. Learning is beautiful.” I couldn’t agree more! How would you describe the ELT market in Brazil? ELT in Brazil is a prosperous area, no question about it! A quick look at the number of ELT events, the number of language schools all over the country, and the new coursebooks launched specifically for the Brazilian market indicates how vibrant and full of opportunities the market is. Another remarkable characteristic is the Brazilian English teacher. Their resourcefulness and engagement in the field never cease to amaze me! It’s a real privilege to have such peers! What’s the biggest challenge facing the Brazil ELT market? Like in any area, doing the right thing is usually THE challenge. And when you have a large country with a wide range of needs, it’s even more challenging. The bar is raised when there’s a market full of competent professionals offering excellent solutions, like we see in Brazil. On the other hand, this is an opportunity to offer customized, high-quality and effective solutions. What’s happening in ELT right now that really excites you? There are two easily identifiable trends: online learning and bilingual education. Online teaching and learning was often seen as a dull and limited solution, with few results. This is drastically changing as more and more teachers are starting to teach online, with the obvious advantage of having a solution that reaches anyone, anywhere. As for bilingual education, there’s a lot of buzz around it. The evident growth of regular schools offering bilingual education programs will undoubtedly impact the ELT business. Needless to say, these trends indicate the increasing need of suitable solutions. Daphne has a postgrad degree in Marketing from UC Berkeley and a specialization in English Language Teaching and Learning. She has considerable experience in ELT publishing, where she has worked in academic and marketing teams. She’s a convicted bibliophile, an avid learner and is about to start another postgraduation course in Bilingual Education.